My camera is fixed! Yay! The camera shop called me today, and I managed to get out of work and to the repair shop just before they closed. So glad to have my SLR back and in action. I totally slept in this morning, and was frantically trying to get out the door on time. 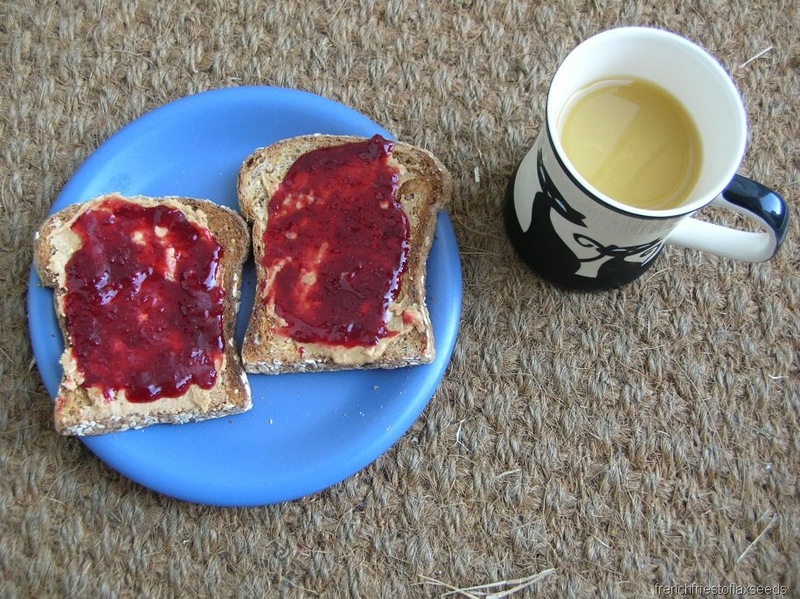 Breakfast was quick – toast with crunchy peanut butter & raspberry jam. Of course, there is always time for a glass of Happy Planet Mango Peach Party. I couldn’t decide on something to take for lunch, so I decided to just pick something up later on. 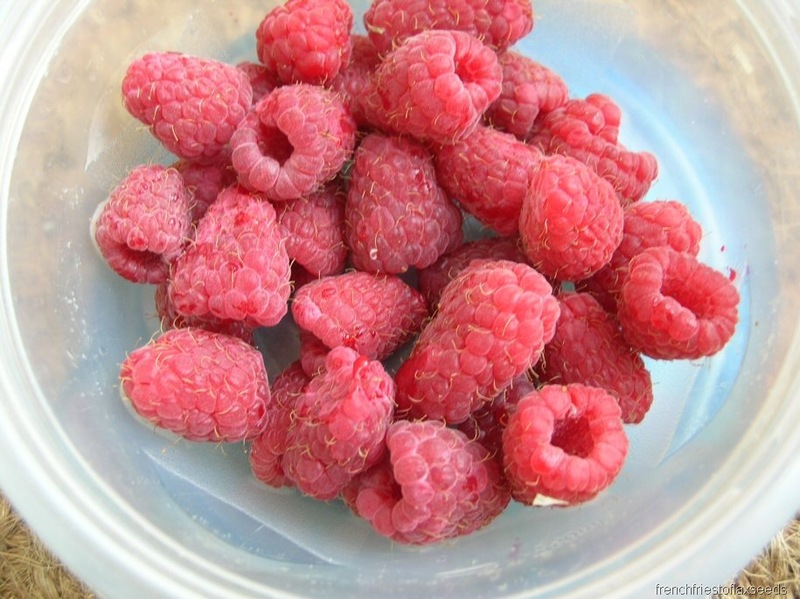 I did manage to pack the last of the fresh raspberries to snack on at work. I also grabbed a Kashi Dark Chocolate Coconut granola bar on the way out the door, which escaped the paparazzi. Why was I in such a rush? I was meeting someone to sell my old cell phone I had planned on biking to work today, and had brought the phone into work in yesterday. I thought the buyer would be in Victoria around lunch time, but she called me at 8:45 this morning to say she’d be in around 9:30. So I had to race to work, get the phone, and head out to meet her. I got the full price I was asking for though – $50! And since I was already out of the office, I just grabbed my lunch then – a sandwich from the Safeway deli. It was nothing exciting – ham, havarti, lettuce, cucumber, pickles, red onion, mayo, mustard, on whole wheat. It tasted good, and was filling, so that’s all that mattered. 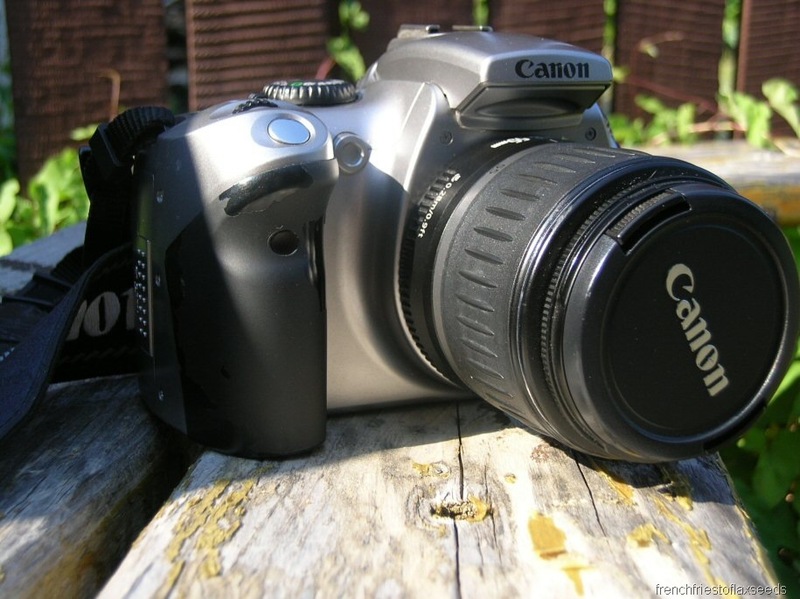 Also exciting today – the camera I’m looking to purchase (Canon SD960) has dropped in price from $349 to $299. Woot! I missed the phone call from the salesperson at Future Shop though, so hopefully he calls soon so I can see what kind of deal he’s offering. Glad you got your camera back! When you buy your new one, I’ll buy your old one! Your pictures are all so amazingly clear. 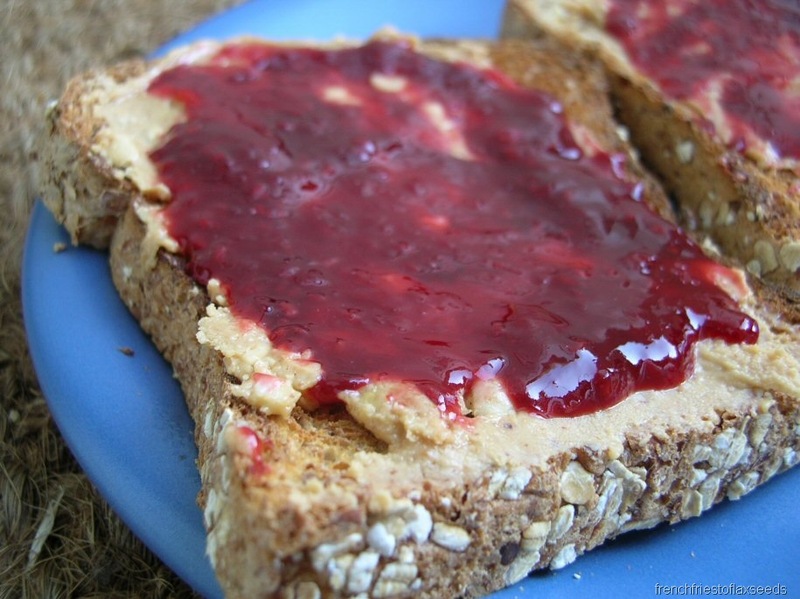 I feel like the toast with pb and J is in my computer, and I can just grab it! YAY! Your babies back! Bet you’re happy to see that camera! Good job getting that cell phone sold. Extra cash is always a good thing!